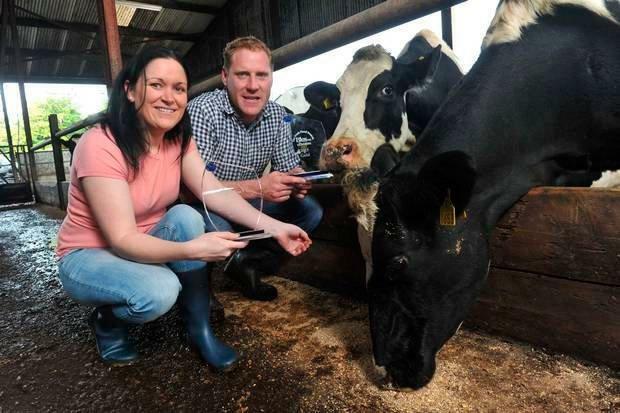 Two Cork farmers are producing melatonin-rich milk that could help insomniacs sleep easy. Gerald and Julian Burns, owners of Ardrahan Farm near Kanturk and producers of Lullaby Milk, milk their cows at 2am during the summer and 4am in the winter so they can get as much of the sleep-regulating hormone melatonin into the milk as possible. Melatonin is a naturally occurring hormone in milk, but four times as much of it is produced if the cows are milked during specific points in their sleep cycles. After Eugene passed on, Gerald continued the business. "Many of our customers had tried everything to get a good night's sleep," Gerald said. "Initially they had reservations about the product, they didn't believe it would work, but they were converted. Some of them have said that they have even stopped taking sleeping tablets." Lullaby Milk is available in Aldi stores and Gerald recommends it is taken 45 minutes before bedtime.